Microfiber is a popular choice among many homeowners when it comes to furniture. Furniture made of microfiber resembles furniture that is made of suede. Despite this, the difference between the two are night and day. Suede is similar to leather as it is made from the flesh side of an animal hide, while leather is made from the outer layer. Compare that to microfiber, which is a man-made material. Ultra-thin strands of polyester and nylon are wound together to create upholstery fabric that is durable, hypoallergenic and beautiful. With microfiber being both water resistant and dust proof, you may think to yourself, “what’s the catch?” Even though microfiber is easy to clean, just like anything else, it is vulnerable to stains if you aren’t careful. Microfiber upholstery is a bit more challenging to work with than regular fabrics, but they do tend to hold up well if vacuumed regularly and cleaned with the proper products. Always do a spot check in an inconspicuous place beforehand. If the color is affected, do not use the cleaning solution. Do not over saturate the furniture with cleaning solutions or water. If you happen to do this, remove as much moisture as soon as possible. 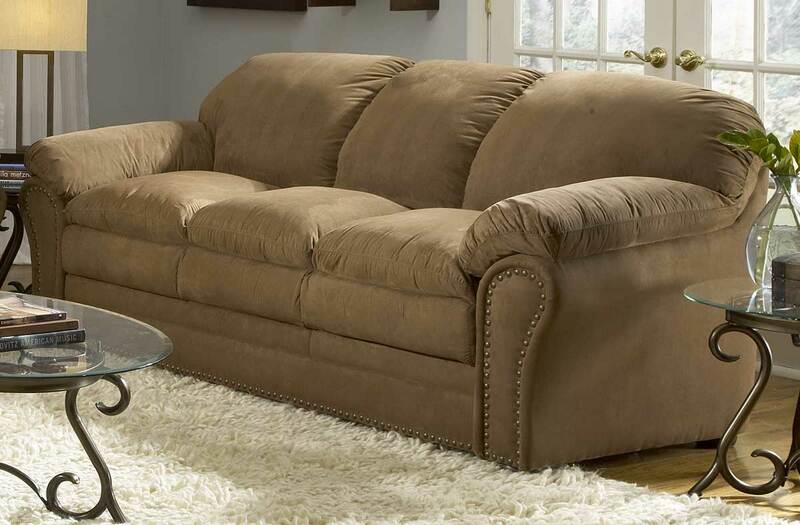 All upholstered furniture is difficult to dry quickly or completely. All furniture products and fabric coverings have a label with the recommended cleaning method to use. You might find the tag with the cleaning codes on a printed label under the seat cushions, on the underside of your couch or chair or on fabric samples. These labels should be your guide and are extremely useful when it comes to choosing your cleaning solutions and the method you choose to clean the furniture. There are several types of cleaning solutions that you should never use with microfiber. If you elect to use a commercial product, make sure you buy the correct cleaner. If you received a manual with your furniture, check and see what products the manufacturer recommends to clean your microfiber upholstery. Spray the soiled area with the cleaner. Blot at the soiled area gently with a clean, damp, colorfast sponge. Rinse the sponge and cloth and repeat if necessary. Blot any remaining moisture from the fabric with a clean colorfast cloth. This cleaning method will help to remove a variety of stains, including but not limited to: ink, red wine, mustard, soda, tea and coffee. Tip: If you are trying to remove a large stain from your microfiber furniture, work in one section at a time and clean it completely before moving to the next. If there is a spill on your furniture, grab some paper towels or rags and start dabbing the liquid. Do not rub or scrub, as this can cause the stain to set. The key is to absorb as much of the liquid as possible while not damaging your furniture in the process. Let your furniture air dry before moving on to the next step. Remove any miscellaneous dirt and grime by vacuuming your furniture with the soft brush attachment. Add a couple squirts of the gentle liquid soap to a bowl and then fill the bowl with lukewarm water. This should cause lots of suds or bubbles, which will be used for cleaning. Dip a clean, cotton rag into the suds and start lightly dabbing the upholstery. Clean gently and work in small circular motions. If necessary, dip the rag in the water until it is slightly damp, but be sure you do not over saturate! Take a clean, dry rag and blot your microfiber upholstery until it is dry. If, when dry, your furniture is not as exquisite as it was prior to cleaning it, take a soft bristled brush and lightly brush in one direction. If the label on your microfiber upholstery clearly states that you cannot use a water-soluble product, you need to clean an entirely different way. Vacuum your microfiber furniture thoroughly to remove any dust, dirt or debris, as you do not want these to get trapped in the fabric once you begin cleaning. Find a gentle dry-detergent. Lightly brush your dry-detergent of choice into the stained or dirty area with a soft bristle brush. Vacuum the microfiber to remove all the dry-detergent. If this method does not work well enough, you may want to think about calling a professional cleaner. Vacuum your furniture with a soft brush attachment weekly. Clean all spills immediately. Microfiber might be water resistant, but rings and stains from liquids can form if not cleaned and dried correctly. 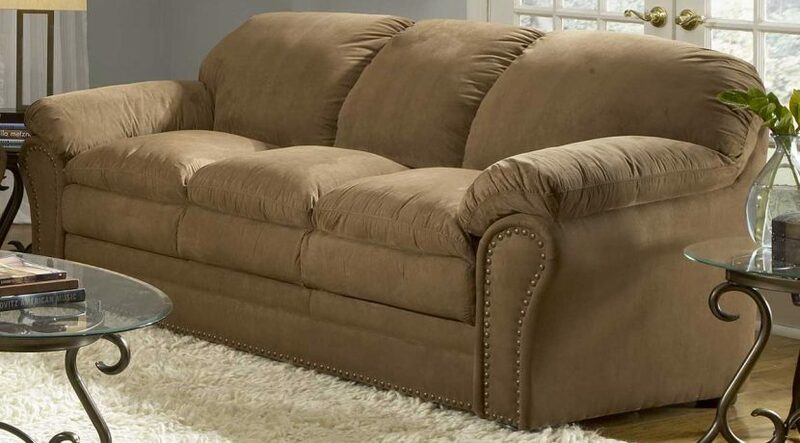 If your microfiber upholstery isn’t as soft as it once was, lightly run a soft brush through it.